Dr. Carrie Redlich is a recognized pulmonologist in New Haven, Connecticut. She got her medical degree from Yale University School of Medicine and earned her internship from Yale New Haven Hospital. Dr. Redlich did two residencies one at Yale New Haven Hospital and one at Yale University School of Medicine. In order to complete her medical education, she did a fellowship at University of Washington. Dr. Redlich is board certified in pulmonary disease and internal medicine. 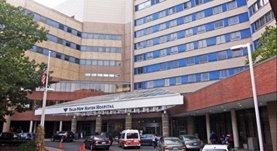 She has over 20 years of experience and is currently affiliated with Yale – New Haven Hospital. Dr. Carrie Redlich has contributed to 3 publications. Lockey, J. E.,Redlich, C. A.,Streicher, R.,Pfahles-Hutchens, A.,Hakkinen, P. B.,Ellison, G. L.,Harber, P.,Utell, M.,Holland, J.,Comai, A.,White, M.; J. Occup. Environ. Med.. 2015 Jan 08. Gui, W.,Wisnewski, A. V.,Neamtiu, I.,Gurzau, E.,Sparer, J. A.,Stowe, M. H.,Liu, J.,Slade, M. D.,Rusu, O. A.,Redlich, C. A.; Am. J. Ind. Med.. 2014 Oct 01. Asbestosis and environmental causes of usual interstitial pneumonia.